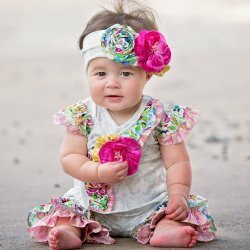 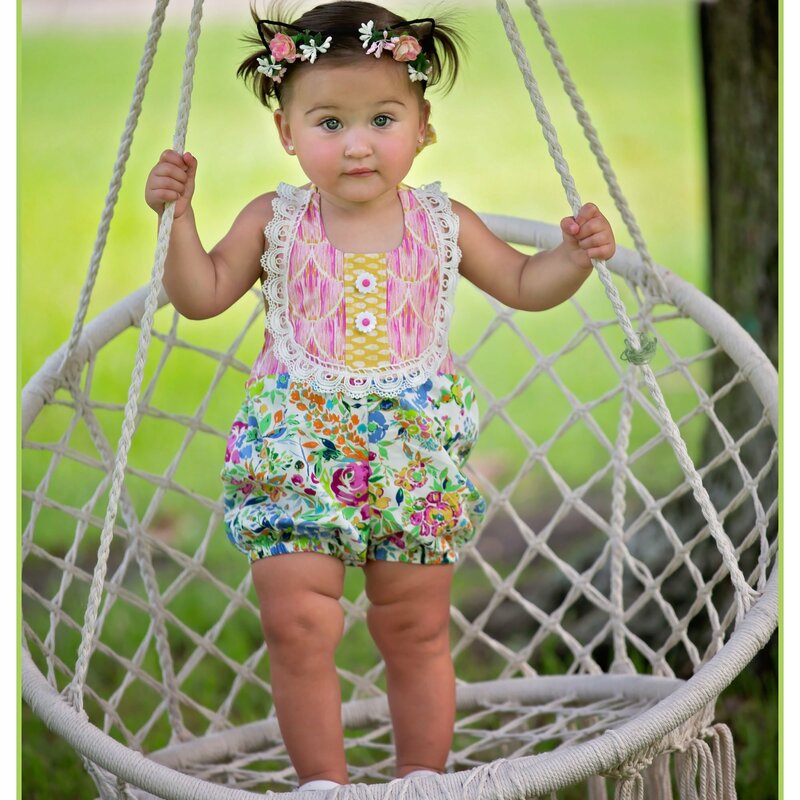 This "Floral Fantasy" sunsuit by Haute Baby is simply adorable for any special occasion in the warmer months ahead for your baby girl. Sunsuit features a pink and yellow geometric bodice trimmed in lace and embellished with white daisy buttons. 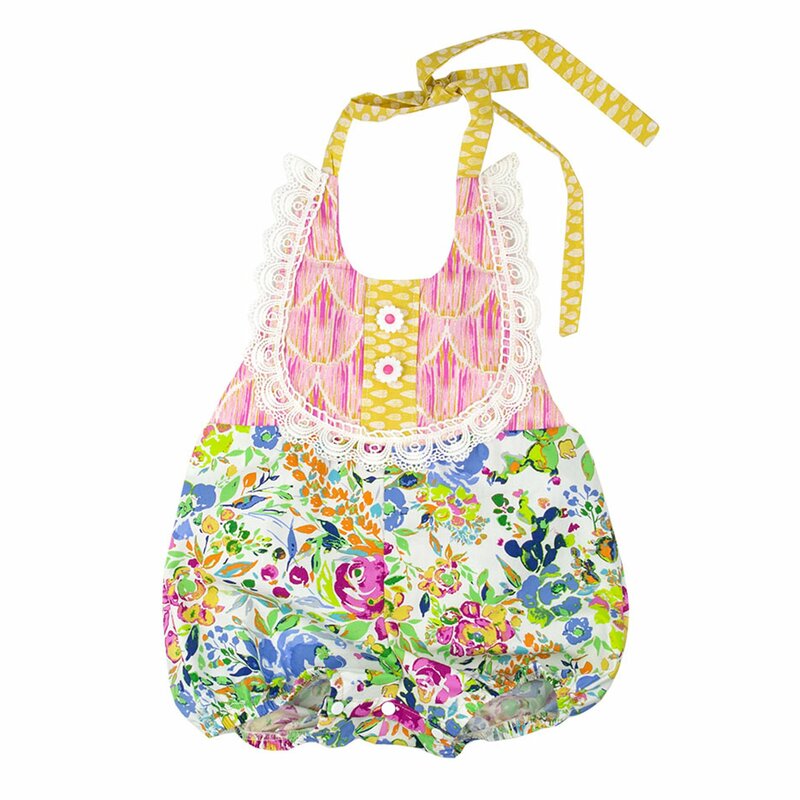 Bloomer is a vibrant floral print. 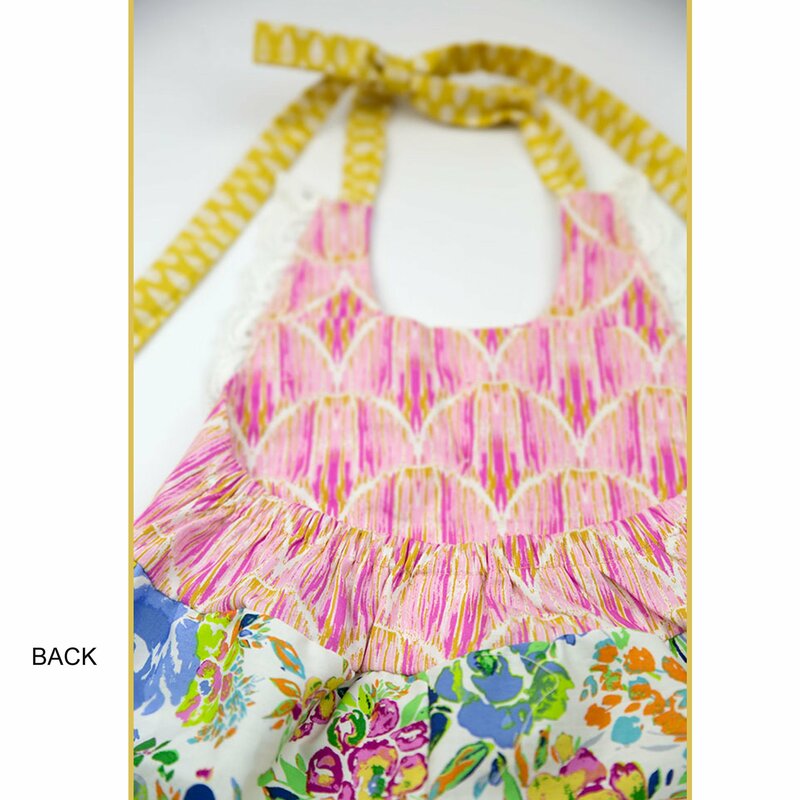 See photo that shows halter style back. 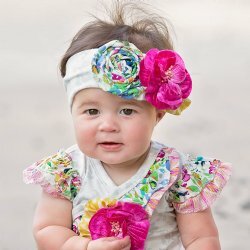 Consider adding the headband to complete her adorable outfit.